The streets of Nejaf city were flooded with almost two million visitors from all over Iraq and neighboring countries. They came to commemorate the death of Imam Ali Son of Abi Talib PBH (Son in law of the prophet Mohamed & founder of the Shiite branch) amidst strong security measures. Ahmed Duaail spokesman for the province said, the security operation was implemented successfully with no incidences and the public service side of the plan was also implemented successfully. Brigadier Uthman Alghanum commander of the eight Iraqi Army Brigade and director of Military operations in Nejaf province said, ‘security forces dealt eagerly with all intelligence at their disposal to close all avenues which can be used by terrorist and criminals. Visitors praised the security and public services available during the length of their stay and on the roads leading to Nejaf from other provinces. Roads leading to Nejaf had many rest stations which provided places to rest and served Iftar (evening breaking fast meal during Ramadan) as well as medical attention to those who needed it. Anbar, Sept 30, (VOI) – Unlike its long history of bloody incidents and armed clashes, Anbar’s Falluja city is living a renaissance of peace and hope this Ramadan with a drastic decrease in incidents of violence encouraging local residents to live their lives as fully as possible. Unlike previous years, the city’s mosques are crowded with worshippers invoking God to relieve their distress and restore stability to their war-torn country. “A religious spirit is uppermost at such times in the city, which is known for its many mosques and high and shining minarets,” Sheikh al-Sudra said. Among the most common activities held at mosques during the holy month are religious and cultural competitions. Following the Taraweeh prayers, competitions for Quran memorization and recitations are held at the Grand Falluja mosque. An official from the Religious Endowments Department in the city told VOI said that two young men and a woman were the winners in the competition. “The awards were 5 million Iraqi dinars (4,048 U.S. dollars) for the first prize, 3 million dinars ($2,429) for the second and 2 million dinars ($1,619) for the third,” he indicated. A few hours after the Iftar (the fast-breaking meal), residents of Falluja flow into markets and cafes, which remain open until a late hour in the evening. Commenting on the growth in trade activities in the city, Yahia al-Badrani, an owner of Falluja Food Markets said that unlike previous years since the foreign invasion in 2003 there is an increasing demand for food products this Ramadan. Linking this to the stable security situation in the city, al-Badrani said that his market close at 11:00 p.m. to meet consumers’ demands. The Iraqi industry ministry has distributes loans to over 1600 factories in 38 areas in and around Baghdad creating over 17 thousand job opportunities. Phase two of this project is in Basra province with other provinces to follow. By the way the Iraqi parliament and the Iraqi ministerial chamber (executive branch) have both strongly rejected the non binding resolution issued by our congress to divide Iraq into three countries. This has been one of the few issues on which the Iraqi parliament has been unanimous. The hard work and incredible efforts of our men and women, especially in Anbar (and now spreading to Musul) province, is creating strong stability and enhancing reconciliation efforts in Iraqi. For after four painful years of missed opportunities and sacrifice, there are encouraging signs that progress is being made in helping the Iraqi people rebuild their country after decades of misrule. the most critical aid agencies. This significant change in Iraq’s political and security climate is also manifesting itself in the south, where the British military has had responsibility for administering four provinces since the overthrow of Saddam Hussein’s regime in the spring of 2003. The collapse of the government’s infrastructure and security apparatus meant that this was always going to be a long haul. 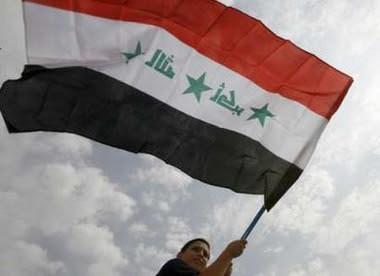 But, bit by bit, the building blocks have been put in place, starting with the new constitution, which was confirmed by a national referendum in late 2005, and followed by the election of the first democratic government in Iraq’s history. In fact, the desire of Iraqis to conduct their own affairs has caused British commanders to undertake a radical re-evaluation of how they go about providing support. Another crucial consideration was whether the Iraqi security forces were capable of filling the security void. And if the evidence of the past five weeks is anything to go by, the signs are encouraging. The effectiveness of the Iraqi security forces is such that, as Mr Brown intimated during his lightning visit, Basra should be handed over to full Iraqi control by the end of next month. 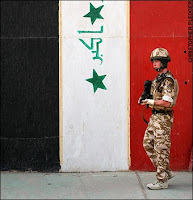 Counterterrorism Blog has more on the disastrous Sunni insurgency in Iraq.